Amy Smith is one of the top British sprinters of the early 21st century. A multiple European and Commonwealth Games medallist, Amy also represented GB at the 2012 Olympics, finishing 5th in the 100m freestyle relay and 9th in the 50m freestyle! Today she runs Swim Swift Elite with fellow Olympian and life partner Joe Roebuck, helping youth and masters swimmers from around the globe improve not only their technique but their confidence and understanding around the sport. Maintain a neutral head position with the eye-line always looking down, never straight forwards. Imagine you are wearing headphones, the water line should be where the band goes. This will keep your neck relaxed and stop you arching your back. Think about keeping the back of your neck long. The INCroatia Swim Camp marches on into the third year, applications now open for Youth Swimmers! Great news! We have another great swim camp in 2018 at Abingdon School, Oxfordshire, come and join us! The camp will be held on the 11th and 12th of August and will cover all 4 strokes over the 2-day camp, including live demonstrations. There will also be land based sessions focusing on pre-pool work and injury prevention, and classroom sessions where swimmers will be able to get involved and ask Amy and Joe any questions they may have. 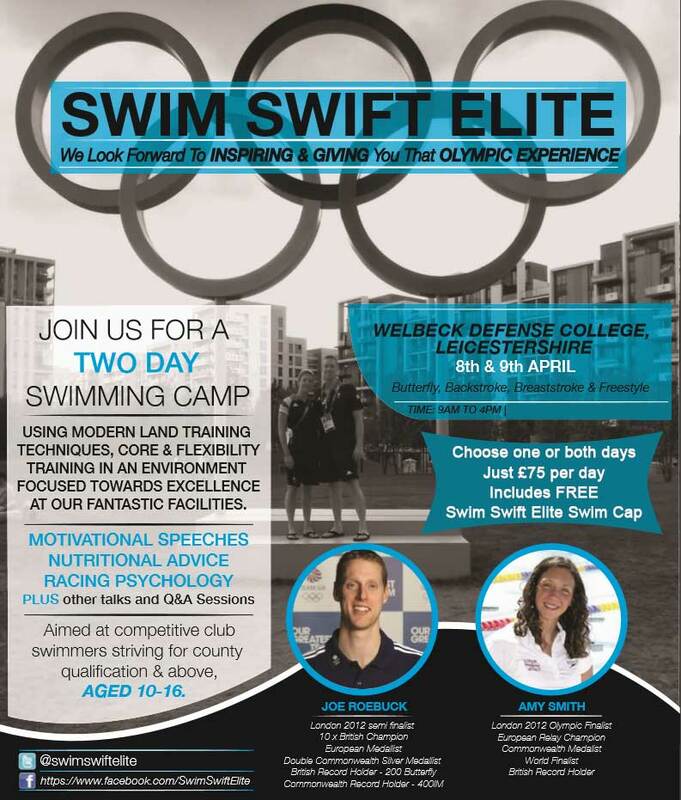 The camp will cost £75 per day, and you will get a free Swim Swift Elite swim cap. You will be able to attend either one or both days. 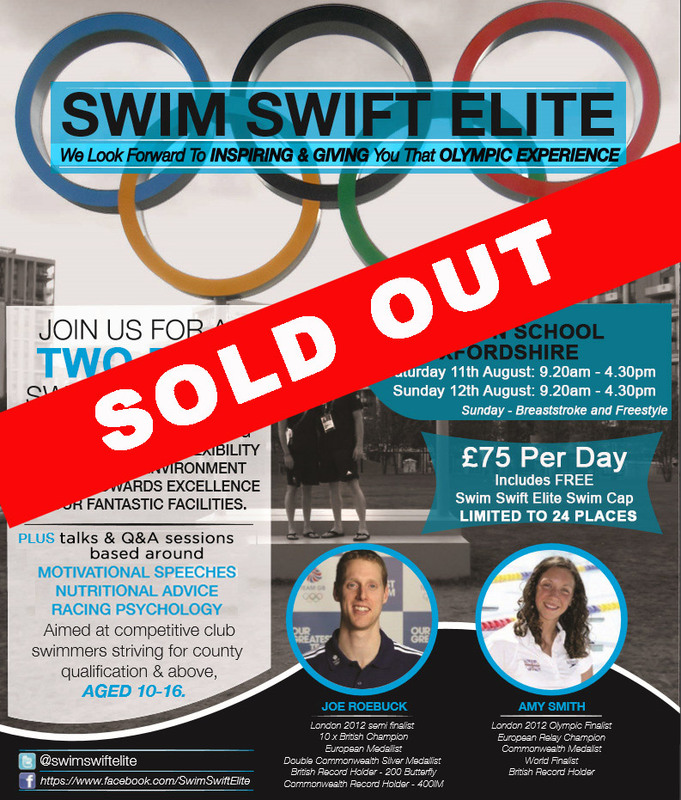 If you would like to sign up for the camp or would like any more information, please get in touch either by email at info@swimswiftelite.co.uk or by phone on 07815 021591. Exciting news! 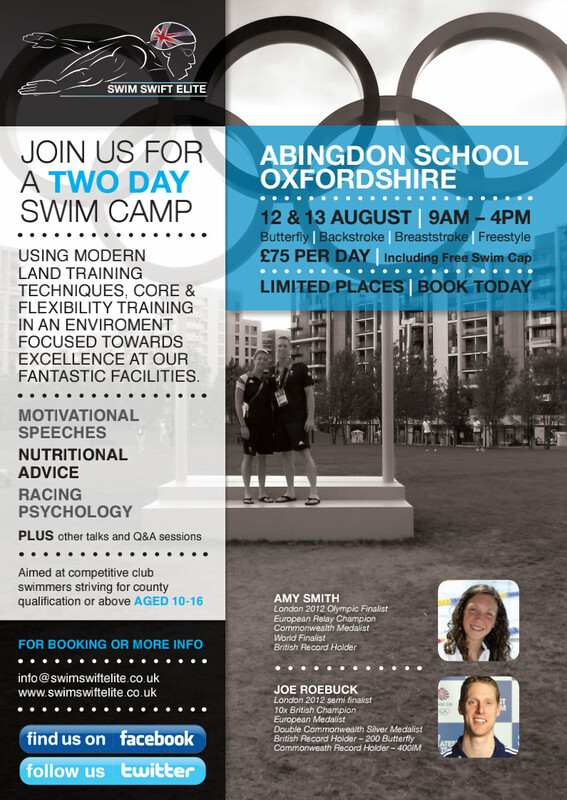 We are holding another two day swim camp at Abingdon School in Oxfordshire over the Summer holidays, come and join us! The camp will be held on the 12th & 13th of August and will cover all 4 strokes over the 2 day camp, including live demonstrations. Very exciting news! We are holding another two day swim camp at Welbeck Defense College, Leicestershire, this Easter holidays, come and join us! The camp will be held on the 8th & 9th of April and will cover all 4 strokes over the 2 day camp, including live demonstrations. Not long to go to secure your place! We hope to see you there! See more Swim Camp Information here. 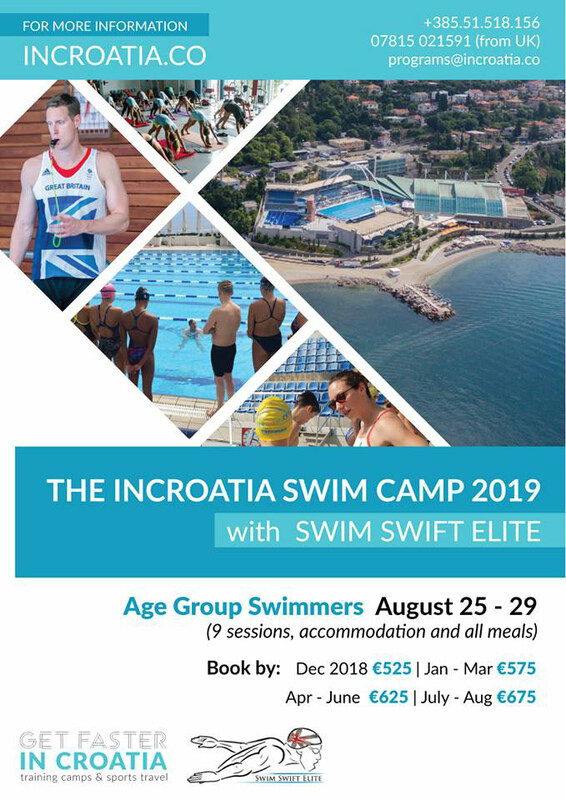 After the success of the inaugural Swim Camp in September 2016, INCroatia is teaming up again with Swim Swift Elite and Jamieson Swimming (Michael Jamieson) to host the Easter Camp 2017. 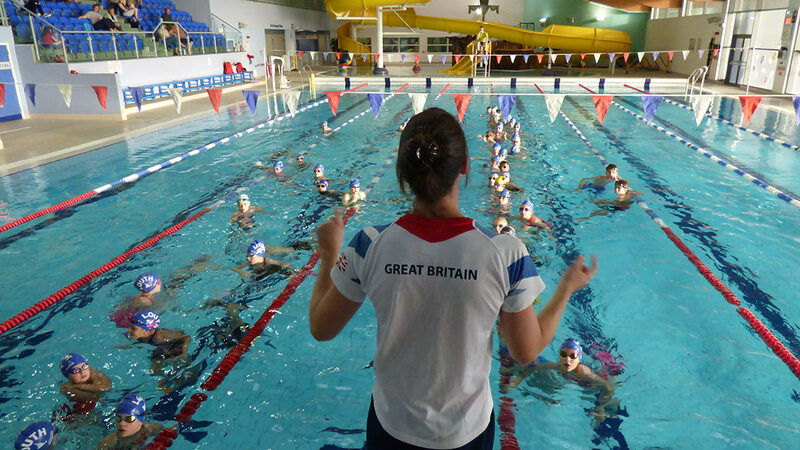 Working with Olympian, World, European and Commonwealth medal winners, young swimmers (aged 13 to 19) will immerse themselves in a world of elite swimming techniques while improving already acquired ones. Sign up, perfect your swimming technique during this memorable week in Croatia! Price: 610 EUR per person (10% discount for returning swimmers). This was one of the very best highlights we have had so far! What a fantastic experience for us to venture out to the exciting continent of Africa! This venture all started with a keen swimming parent asking about our interest to work with the schools swimming team. After finding out more information we jumped at the chance. Set on the foothills and in plain sight of Kilimanjaro we were welcomed into the school by the extremely friendly and enthusiastic staff. 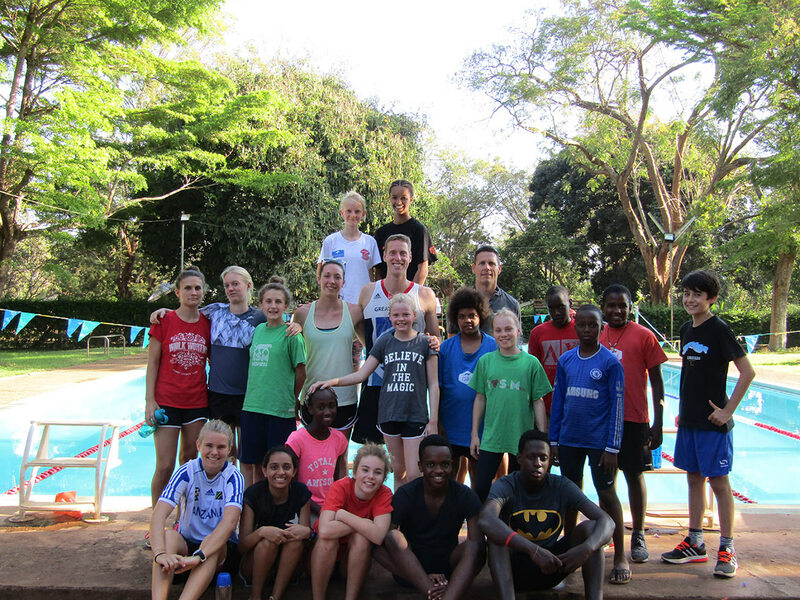 Each morning at 5.30am (before the Sun had risen) we had made our way to the pool to begin land training with the senior team and then into the pool for a training session before school started at 7.35am. The morning swim was designed for more rigorous sets, tapping into different energy systems and testing stroke mechanics and technique. The afternoon practice was for stroke demonstrations from Amy & Joe and was more technique focused, with each day examining on one particular stroke. The junior swimmers we met once a day and had a mix of the two types of workouts in their daily session, and both groups added dryland training in order to strengthen muscles associated with swimming and increase flexibility. This alone we enjoyed immensely, seeing these swimmers learn new skills and techniques and surprise themselves with how much they could physically and mentally improve. We were hugely impressed by how much they raised their game, training 8 times in 4 days plus land work! Well done! Over the four days we were in the school we stood up in front of every student in the school in a mixture of assemblies and classroom visits. Sharing our journeys, values, highs and lows. This was really well received by all age groups and we were very impressed by the level of excitement, attention, interaction and manners from the students. We loved every minute of our visit and would like to say a special thanks to Mary Fitzpatrick, Annalee & Bob Horton and Ryan Sullivan for all their efforts to make this happen! http://swimswiftelite.co.uk/wp-content/uploads/2014/11/swim-swift-elite-logo2.jpg 0 0 sammy http://swimswiftelite.co.uk/wp-content/uploads/2014/11/swim-swift-elite-logo2.jpg sammy2016-10-31 19:13:062016-12-01 19:18:41International School Moshi. It was an honour and a pleasure to be invited to attend Sheffield’s Celebration of Sport Evening to celebrate the city’s past, present & future sporting successes! More than a 1000 guests were in attendance including World and Olympic champions. The inaugural Olympic Legacy Park event was hosted by BBC Look North’s Harry Gration and took place on the very track where our Olympic golden girl Jessica Ennis-Hill trained in the Indoor Athletics Arena at the English Institute of Sport. Speakers such as World Champion boxer Anthony Joshua & Olympic & World Champion Jessica Ennis-Hill, among many others, made it a spectacular event to be a part of! In September, we travelled over to Louth. It was Joe’s first visit to this club, and by working with 2 different groups, we got to see lots of Louth Dolphins swimmers. It was great to see how many of the swimmers at Louth took to Butterfly so naturally, and picked up the drills we taught them so well. Some are quite tough, but every swimmer gave them a go. Everyone did a fantastic job and we hope they enjoyed the visit as much as we did. http://swimswiftelite.co.uk/wp-content/uploads/2014/11/swim-swift-elite-logo2.jpg 0 0 sammy http://swimswiftelite.co.uk/wp-content/uploads/2014/11/swim-swift-elite-logo2.jpg sammy2016-09-30 18:28:252016-12-01 19:06:51Louth Swimming Club. Our 4th visit to Worcester County was held at Malvern College, what a fantastic facility and exciting day! This time we worked on Breaststroke and Freestyle with the swimmers in the pool, and again tried some land training techniques that we used to use as athletes ourselves. We also tested out the swimmers artistic skills by getting them to draw what their journey to success would look like, including barriers they may come across along the way. We had a great time working with everyone again, and a big thank you to Trixie for inviting us to be part of this development day. http://swimswiftelite.co.uk/wp-content/uploads/2014/11/swim-swift-elite-logo2.jpg 0 0 sammy http://swimswiftelite.co.uk/wp-content/uploads/2014/11/swim-swift-elite-logo2.jpg sammy2016-09-24 18:19:432016-12-02 17:00:32Worcester County Development Day.